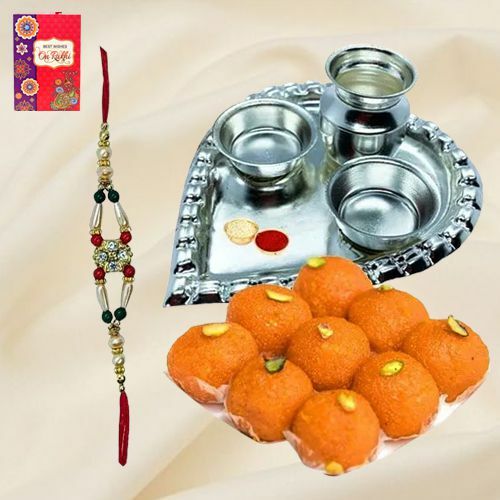 A perfect way to show your love on Raksha Bandhan, this Astonishing Silver Plated Thali with Haldiram Laddoo complemented with a free Rakhi, Roli Tilak and Chawal, will add an auspicious charm to the day. This beautiful Hamper is composed of 250 gr. Haldiram Laddoo. The Paan shaped Aarti Thali comes with the weight of 52 gm.